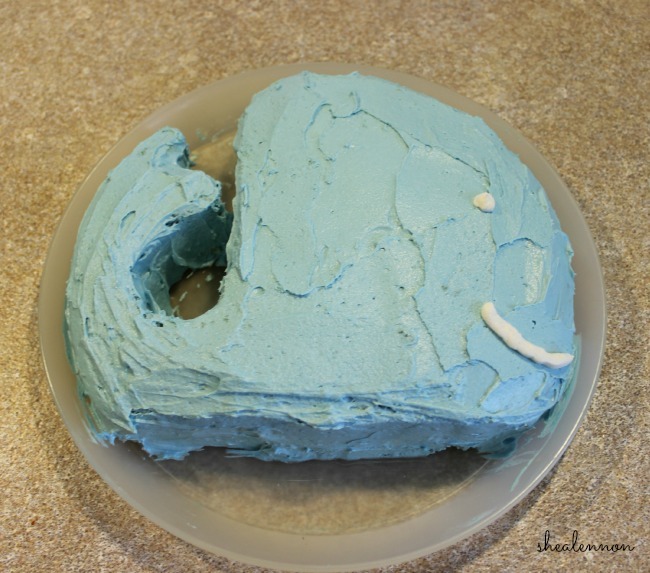 Since I've been blubbering on and on about my baby turning one, I thought I'd at least share a few photos from his whale-themed party (see what I did there?). 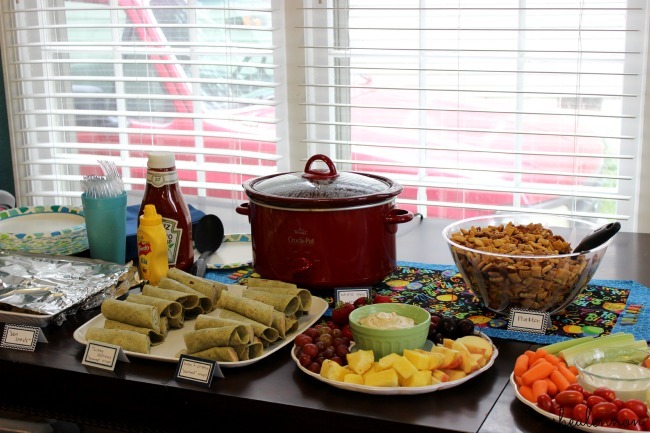 We decided to keep the party small, but I still wanted to have some fun with the food and decorations. My starting point for party decor was this Nautical Whale Party from RVParties, my favorite party planning shop. I let Rachel and Victoria (the R and V of RVParties) do most of the work - I just had to cut and assemble. 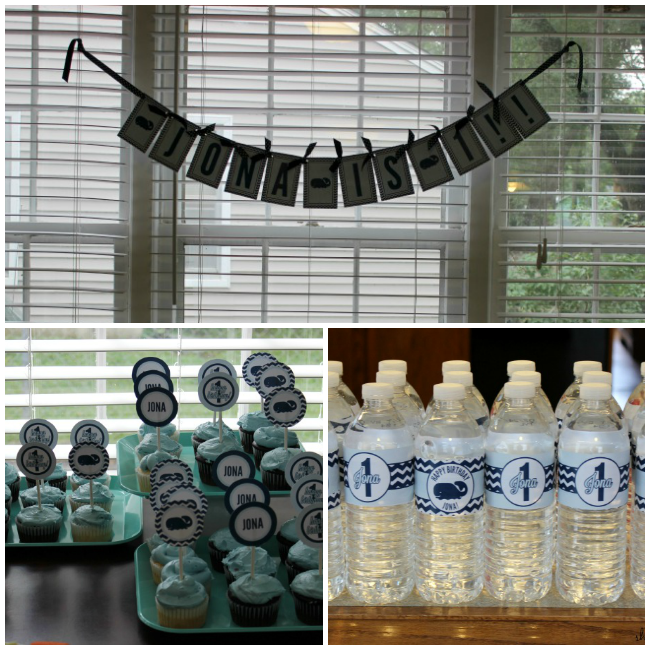 Because throwing parties stresses me out, I didn't go crazy with the decorations. As difficult as it was, I gave my perfectionist, type-A self a break and didn't stress (too much) about having everything match. In addition to a special t-shirt (see my post on that here), Jona got his very own smash cake. I baked white cake in a round pan and cut it out and frosted into a whale shape. No, it won't be gracing the shelves of any bakeries, but for a cake whose purpose is to be pulverized by tiny little hands, I think it turned out pretty cute. Jona's reaction was a mixture of awe and horror. Once he figured out that it tasted good, there was more going into his mouth than into the air at least.